4RootZ is available on Amazon! 4RootZ is officially available on Amazon! It’s only been a few months, but we have been very proud of the progress we have seen with this brand new product. 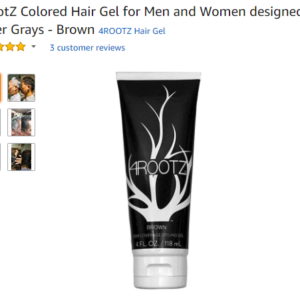 At first, we were not sure how people would react, but, turns out people are really loving the power of 4RootZ for casually covering up their grays. 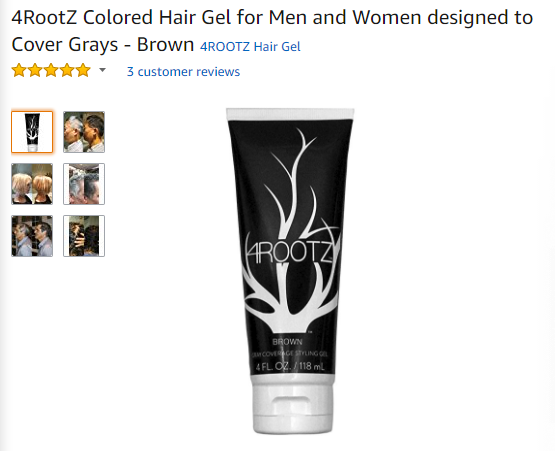 4RootZ is now on Amazon! Being approved and sold on Amazon.com is a major milestone for us! We are proud to have had our product meet their various quality guidelines and be approved for sale on their platform. We would like to say thank you to Amazon for giving us their stamp of approval. If you would like to check us out there, click here. We promise not to make announcements every single time we are launched on a new platform, but this one really meant a lot to us! Thank you to all of the people who helped to make this possible for us! Without you, 4RootZ would not be what it is today! Still not sure about 4RootZ? Not sure if casual gray coverage is what you are going for with your hair styling? Try it out for yourself. 4RootZ is super easy to wash out if you aren’t into the look or feel, but we think you will love it!